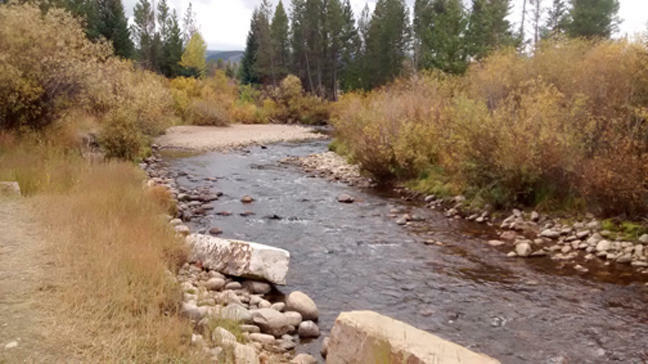 About three years ago, flood waters rushed down the Big Thompson River through Estes Park and eastward to Loveland, destroying whole stretches of the river channel and adjoining roads. That flood echoed a similar one 40 years ago that killed 144 people, destroyed countless homes and decimated the riverbed. Now, roads are being repaired and the eco-system is slowly recovering. That recovery is crucial for the economy of local communities. It's been almost a century since the Colorado River Compact was created, divvying up the resources of this mighty waterway between seven states and Mexico. That means almost 40 million people are dependent on the river in some way. Traditionally, the economic value of the river was based on what the water could be used for when extracted—things like agriculture, mining, and industry. Now, more people are pointing to the economic value of keeping water in the river itself. 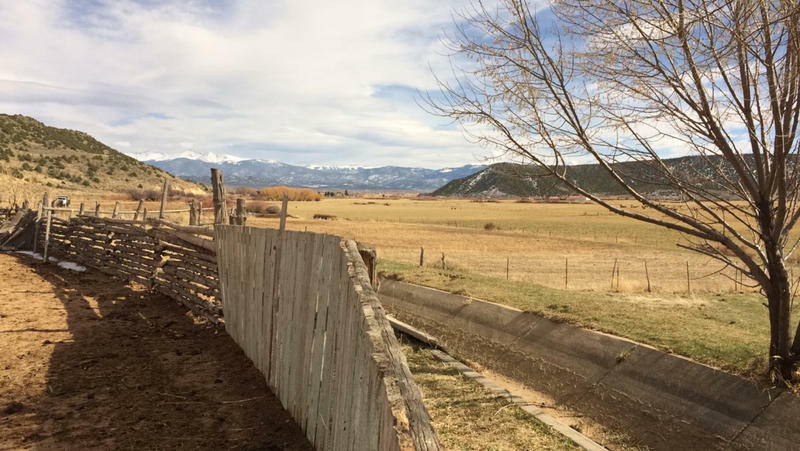 Water rights can be a touchy topic for Colorado families whose livelihoods are tied to the resource's availability. 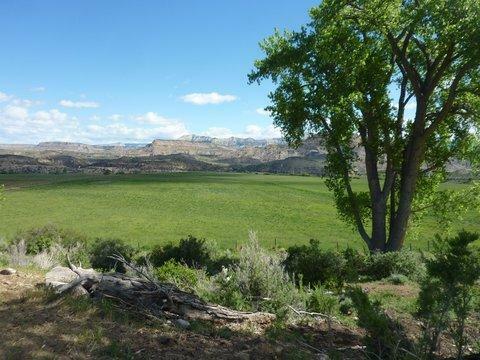 But in the tight knit community of San Luis in southern Colorado, a group of farmers and ranchers uses old methods of cooperation to help ensure healthy livestock and a good harvest in the arid region. 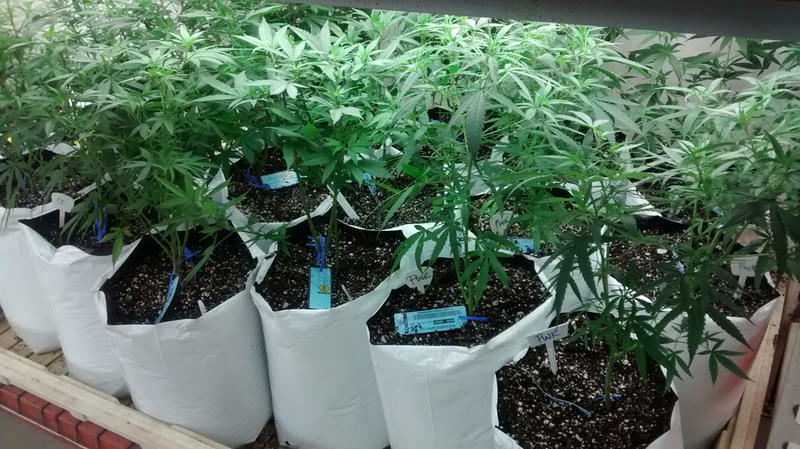 With the legalization of marijuana in various states and forms, conservation groups and others are asking how much legal grow operations affect water consumption. In Colorado, water managers and researchers are working together to answer that question. An additional 2.5 million people are expected to move to Colorado by 2040, the vast majority of them headed for the Front Range. 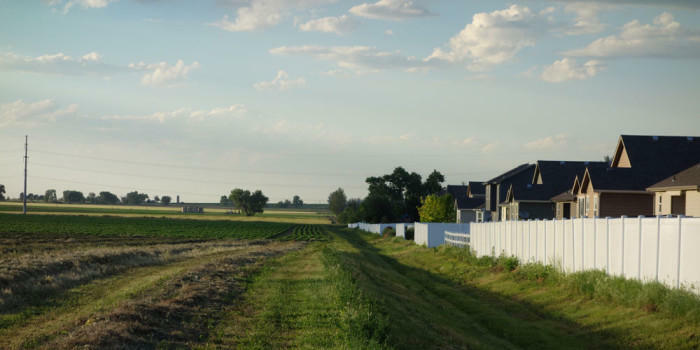 As part of Connecting the Drops, our state-wide water series, Maeve Conran looks at the impact on Colorado as its landscape changes from crops to houses. The traffic on a stretch of I-25 north of Denver is the soundtrack to the changes that farmer Kent Peppler has seen happening in Weld County. It’s that time of year when ski resorts crank up snowmaking machines to bolster Mother Nature’s delivery. 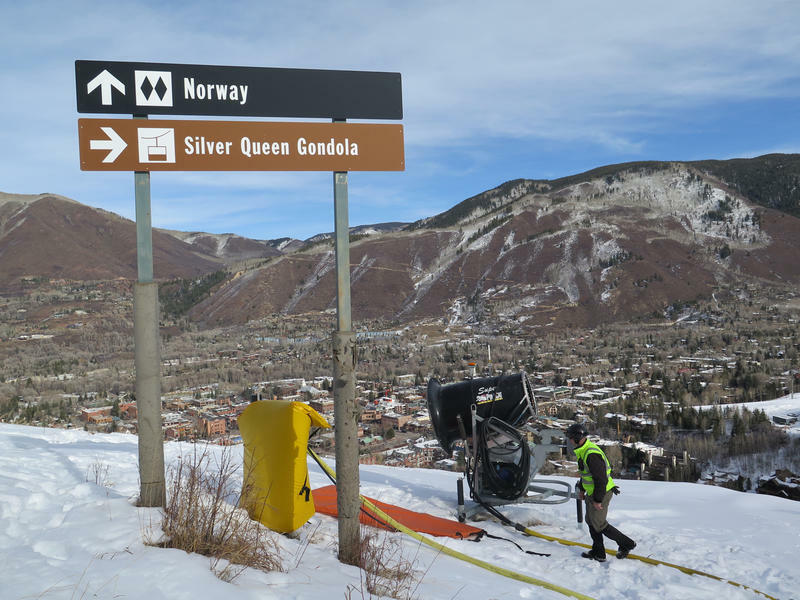 Some resorts depend on man-made snow more than others, and it’s possible the practice may be used more in the future. Snow on Aspen Mountain reflects the early afternoon sun, as skiers zig-zag their way down steep terrain. Snowmaking manager Harry Lynk takes a snowmobile up a steep pitch before arriving at one of the resort’s snowmaking machines, or guns. 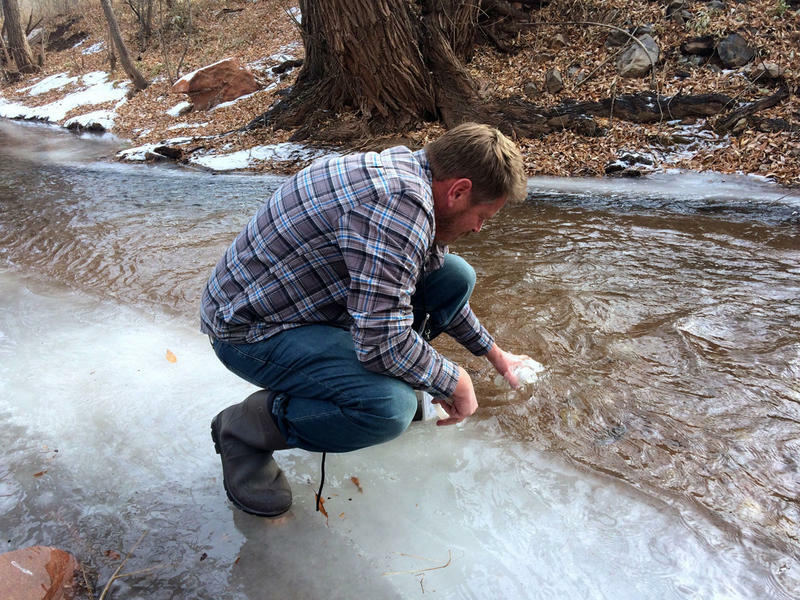 Most Colorado cities and farms get water from snowmelt in the Rockies. That’s not the case in Northeastern Colorado. This food-producing powerhouse depends on an ancient, underground reservoir called the Ogallala. 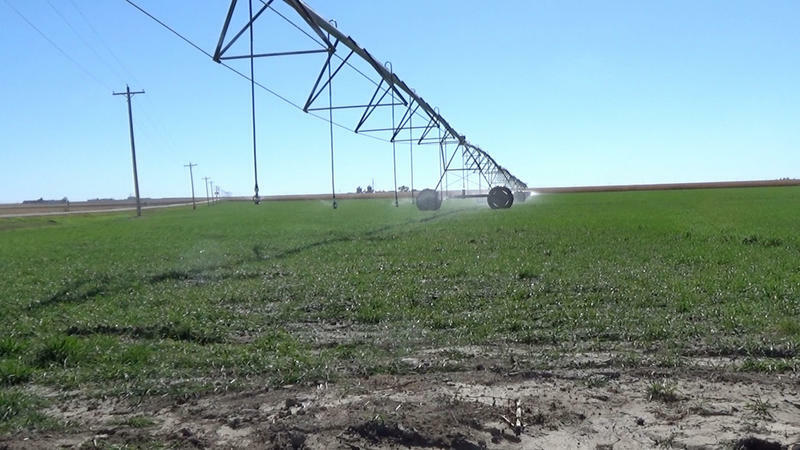 Ever since the Ice Ages, the Ogallala’s been slowly accumulating water. Modern farmers, though, pump so much water that this “timeless” aquifer is starting to run out. Someday up ahead, Northeast Colorado may have to curtail some crops, and some farm towns might become ghost towns. It’s been over a year since Governor Hickenlooper issued an executive order calling for the creation of a state water plan. It won’t be a legal document, but the plan is expected to make recommendations that will guide future water planning and funding decisions. The process is well underway, with a deadline to deliver a draft plan by this December. Mike Preston, manager of the Dolores Water Conservancy District, which stores and delivers water from the Dolores River, stands next to an irrigation outlet on McPhee Reservoir, near Cortez. 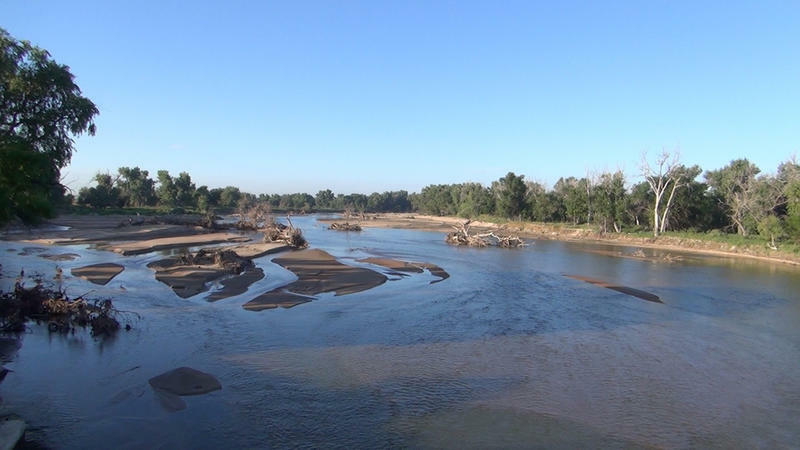 The historic September 2013 flood reshaped waterways across Colorado’s northern Front Range, making major changes to both the manmade and natural environments. 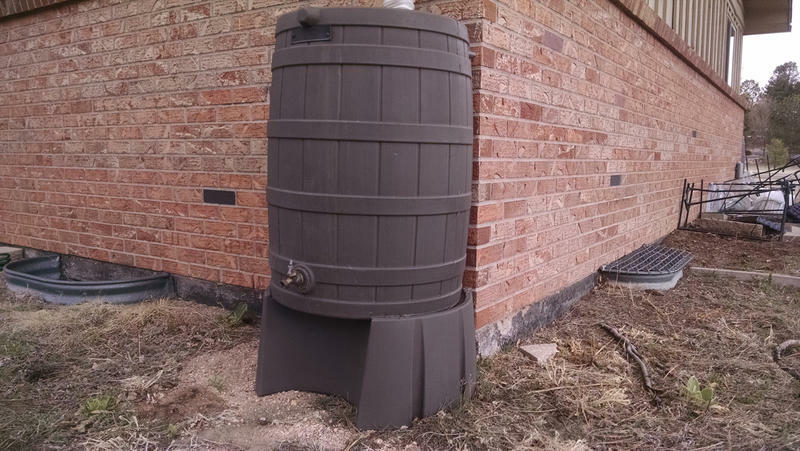 Over the past ten months, homeowners, planners and policy makers have grappled with difficult decisions over where and how to rebuild, and when to let Mother Nature take her new course. Lyons resident Phyllis Casey stands watching the demolition of her home. The sound of heavy equipment along Apple Valley Road in Lyons competes with the rush of North St. Vrain Creek full of spring run-off. When it comes to water, Colorado’s kids can expect to face a challenging future; a growing population and increasing demand may mean difficult trade-offs. That’s one reason educators and policy-makers say it’s critical to teach young people about water management. 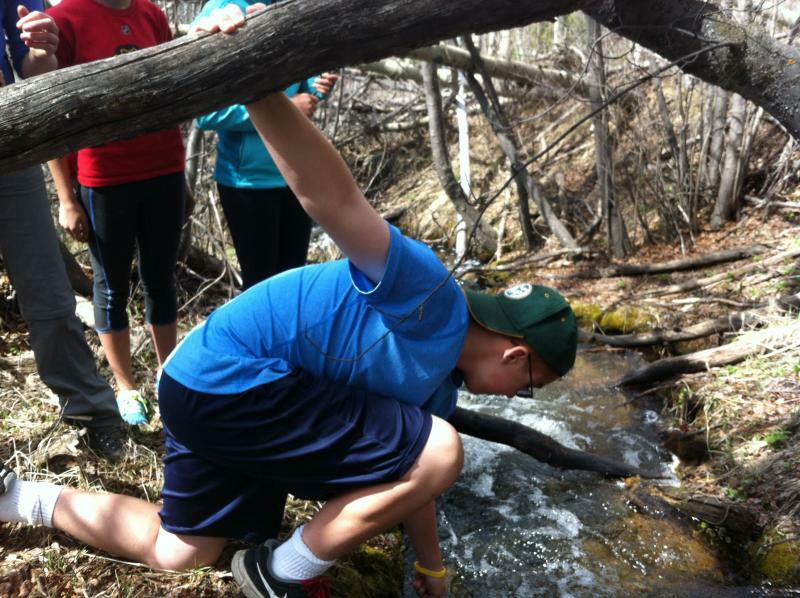 On a breezy spring morning in south Denver, a line of about 30 teenagers snakes down a hill at Overland Pond, a little urban park next to the South Platte River. The kids are passing golf balls to each other really fast, and dropping many of them. 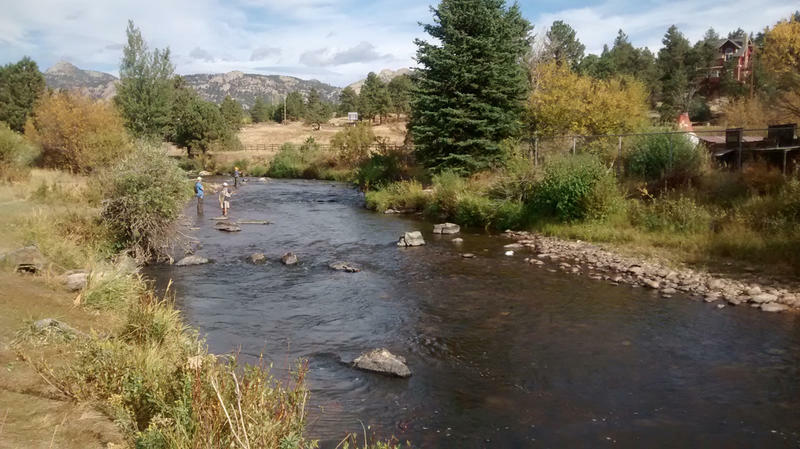 Water & Energy was the topic of a statewide call-in program associated with Connecting the Drops, a year-long collaboration on Colorado water issues from KRCC and other member stations of Rocky Mountain Community Radio, as well as the Colorado Foundation for Water Education. 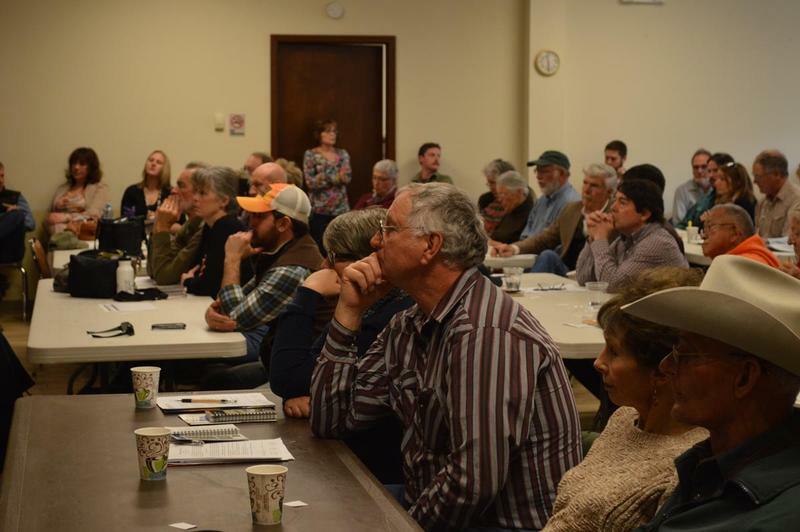 Guests were Ken Carlson, professor of civil & environmental engineering at CSU; Sloan Shoemaker, head of the Western Slope conservation group Wilderness Workshop; and Kent Holsinger, an industry attorney specializing in water and energy issues. Hosted by KGNU's Maeve Conran. Water & Energy is the topic this Sunday afternoon at 5 on a special live statewide call-in program. 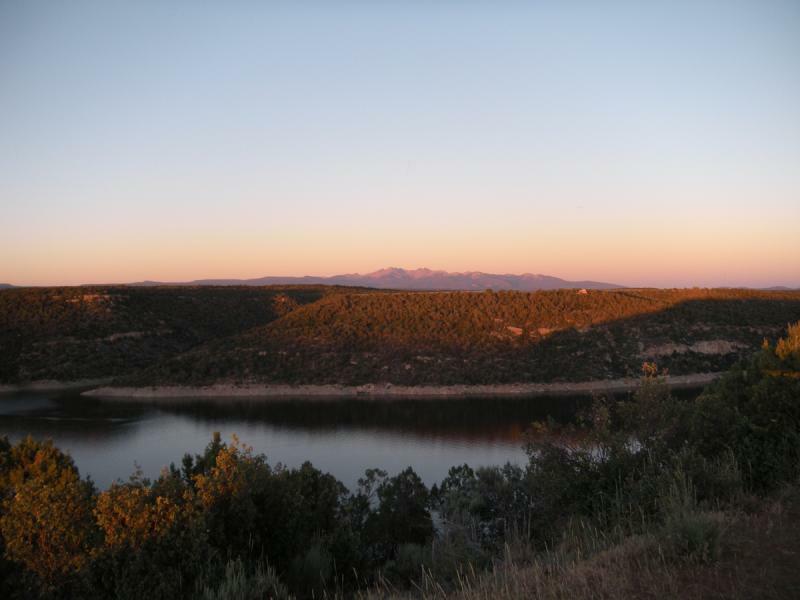 It's part of Connecting the Drops--a year-long collaboration on Colorado water issues from KRCC and other member stations of Rocky Mountain Community Radio. Today, we'll have a panel of experts discussing the impact of energy development on Colorado water. Your calls are encouraged, and we'll provide a specific number for you to call during the show. That's today from 5-6 PM. The toll free number for listeners to call in is 1-800-737-3030. Using the force of moving water to generate electricity is an old idea. 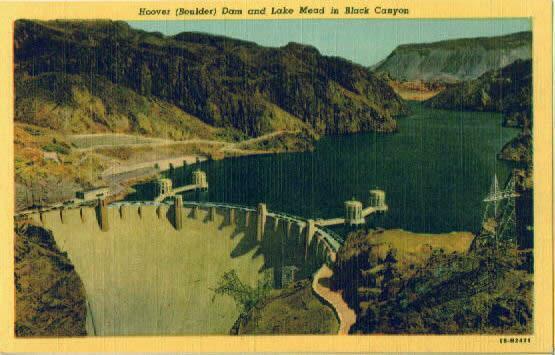 For much of the 20th century, hydroelectric technology led to the construction of giant dams across the American West and around the world. But big hydro projects have a big impact on surrounding ecosystems, and Colorado is at the center of a growing move toward hydropower on a smaller scale. It takes water to produce electricity, but how much water varies a lot depending on the fuel source and the power generating technology. 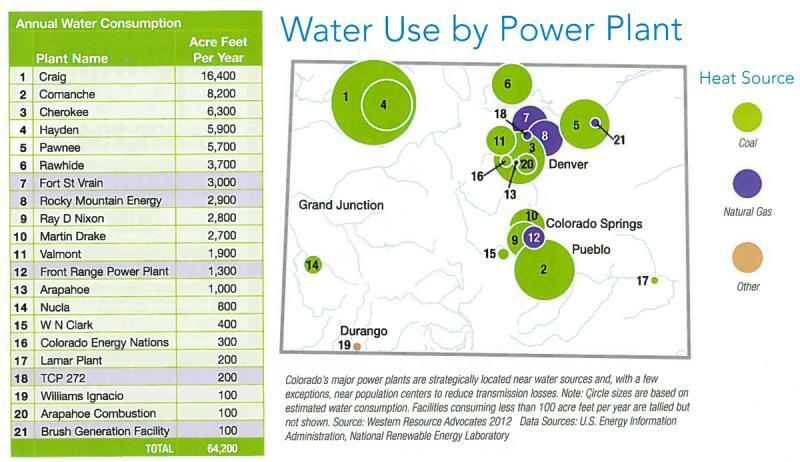 In Colorado, around half a percent of our total water usage is used to generate electricity. 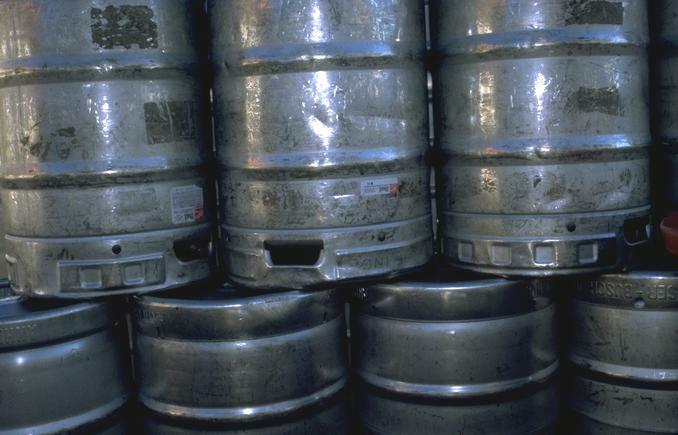 It’s a small percentage, says Stacy Tellinghusen, water policy analyst for Western Resource Advocates, a non-profit conservation group, but adds that it’s not inconsequential. The Shoshone Power Plant: "A Big Dog on the River"
A complex series of agreements govern the distribution of water throughout the state. Along the Colorado River, farms, cities & towns, and the recreation industry are all big players. But everyone takes a backseat to a tiny hydroelectric plant that’s over one hundred years old. It’s the Shoshone Generating Station, and it plays a critical role on the Upper Colorado. 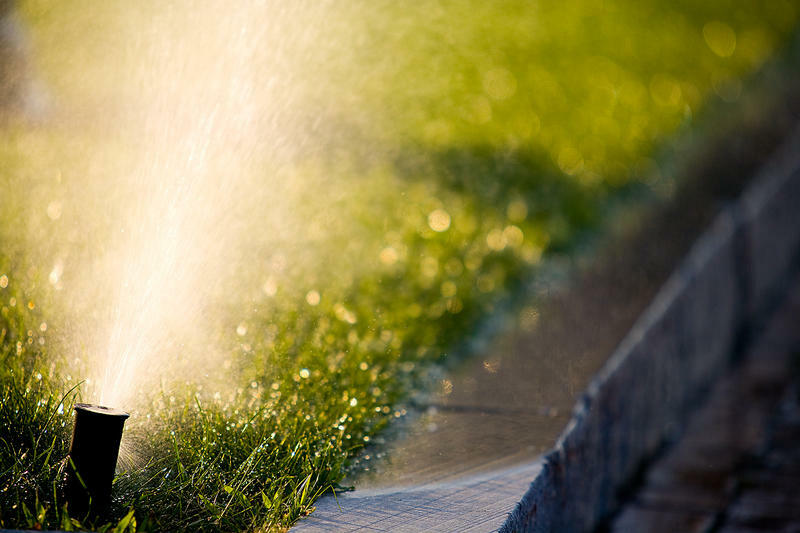 Water has always been a source of conflict in the arid West, but in recent years the conflict between agriculture and growing cities has escalated as both entities compete for this limited resource. KGNU’s Maeve Conran has this story as part of our year long series Connecting the Drops. On Sunday, September 15th, KRCC aired a special one-hour call-in show on the Colorado River as part of our year-long Connecting the Drops collaboration. The guests were Taylor Hawes, director of the Nature Conservancy's Colorado River Program, who recently testified before the U.S. The Colorado River dominates much of the water landscape in our state and throughout the Western US. Join us today, Sunday, September 15th at 5 PM for a special statewide call-in program about the Colorado River. We'll be joined by listeners of other community public radio stations across the state. It's part of "Connecting the Drops" our year-long series about water. A special statewide call-in program on the Colorado River, Sunday, Sept. 15th at 5 PM on KRCC. Learn more about Connecting the Drops here. 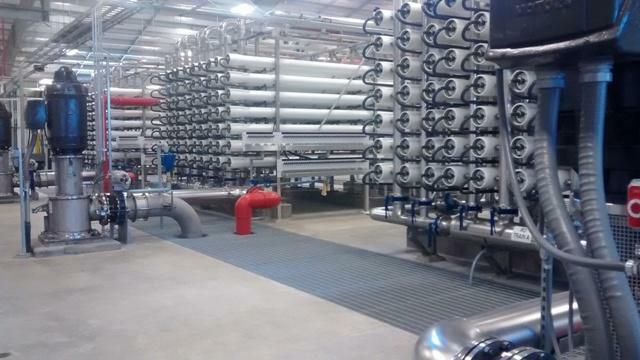 All around Colorado, new collaborations are emerging around water storage and water use. 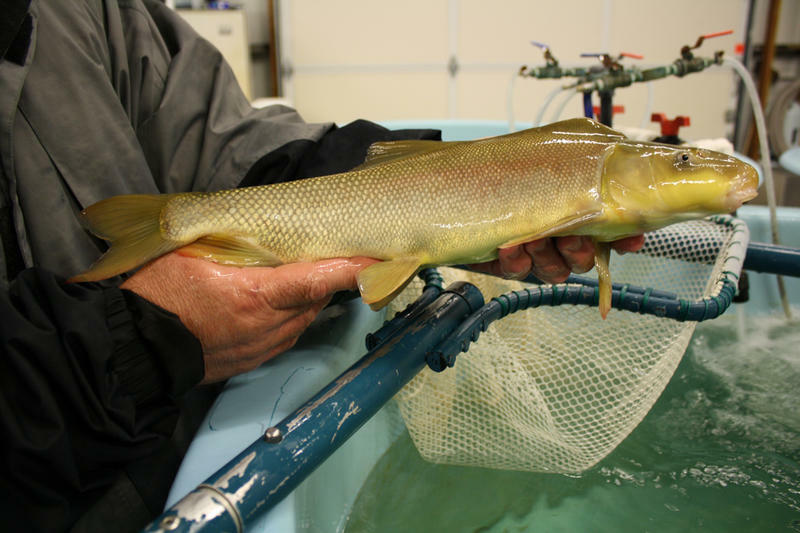 Partnerships with reservoirs are turning out to be key in terms of environmental stewardship, river protection, and healthy communities that rely on water. As part of our year long series Connecting the Drops, KGNU's Maeve Conran looks at some of these collaborations that have produced tangible results. In early July, Colorado designated 14 counties "primary natural disaster areas" due to agricultural losses caused by the recent and ongoing drought. Several of those counties are in the San Luis Valley in south central Colorado. Farmers there are now eligible for low interest emergency loans, but as KGNU’s Maeve Conran reports, that may not be enough for this agricultural hub, which is facing a long term water crisis that could permanently affect the entire valley.